Michigan’s present Capitol, the state’s third, opened to great acclaim on January 1, 1879. At the time it housed all offices of state government. Over the years the building was dramatically remodeled and altered to meet the changing needs of the state. In 1987, after years of neglect and decline, a project was launched to restore the Capitol to its original beauty. Following the completion of the award-winning restoration in 1992, the Capitol was named a National Historic Landmark. Today the Michigan State Capitol Commission continues to restore and renew our statehouse. Check back often to learn more about the ongoing restoration and preservation projects happening in the Capitol building, and on Capitol Square! Keep up with the latest work on Capitol Square and in the Capitol building throughout the CIU project. 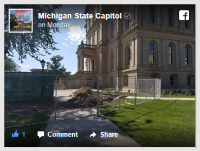 Read about all of the Michigan State Capitol Commission’s current projects in and around the Capitol. The Michigan State Capitol Commission is turning its attention to the Capitol’s extensive mechanical problems. The Capitol’s mechanical systems are nearly 30 years old, placing this historical treasure at risk. Learn more about the challenges facing the Capitol in this behind the scenes video. This report examines the four major renewal projects undertaken by the Michigan State Capitol Commission from 2014 to 2016. Projects chronicled in it include the restoration of the Capitol’s exterior stonework and dome, the reattachment of the interior corridor plaster ceilings, the renewal of the ground floor, and the restoration of Capitol Square. 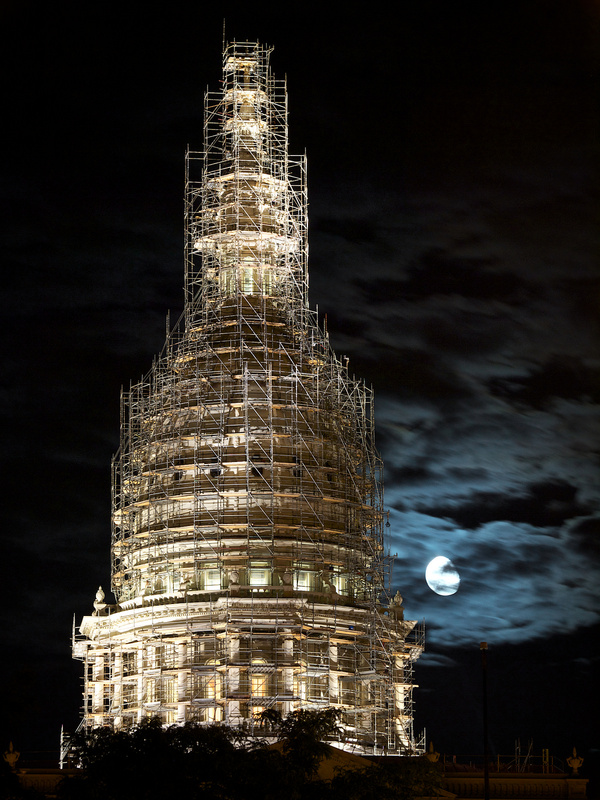 The Michigan State Capitol dome, fully scaffolded, c. 2015.